This is our Cold Pressed Lemon Essential Oil. Herbal Folk Traditional uses for Lemon Essential Oil include arthritis, dysentery, fever, liver congestion, malaria, rheumatism, scurvy and typhoid fever. Lemon Essential Oil has been known to sharpen and focus the mind while having a calming effect, most likely due to its cell cleansing actions! It has an intense fresh citrus scent with a zesty top note. Lemon Essential Oil blends well with Bergamot, Black Pepper, Cardamom, Chamomile, Cistus, Coriander, Elemi, Eucalyptus, Fennel, Frankincense, Geranium, Ginger, Juniper, Jasmine, Labdanum, Lavender, Lime, Litsea Cubeba, Neroli, Oakmoss, Orange, Osmanthus, Patchouli, Petitgrain, Rose, Rosemary, Sage, Sandalwood, Verbena and Ylang Ylang. Lemon Essential Oil is citrus perfection with its intense, fresh scent and tangy top note. Lemon Essential Oil will lift one's spirit. Lemon Essential Oil is a fabulous air purifier! During wildfires in 1998 we taped off our windows and still had smoke coming in. So we dropped Lemon Essential Oil on the air filter in our air conditioner every few hours. The air was so pure that when we left our home with covered faces to get groceries, upon our return and as soon as we entered our home, our next breath was like an injection into our lungs of pureness that could not be explained and can only be understood by experiencing the contrast in purified air! Needless to say, whenever we have a neighbor who is burning something in their yard and the smoke is entering our home, we use Lemon Essential Oil to purify our indoor air! 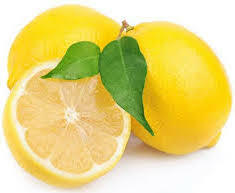 Lemon Essential Oil is used in aromatherapy and natural perfumery. Lemon Essential Oil has the following actions: antiseptic, antispasmodic, carminative, digestive, diuretic (mild), laxative (mild), sedative, stimulant (digestive and lymphatic), tonic. Shelf life is 5 years or more.